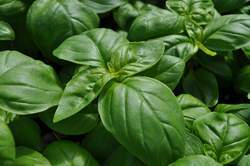 This sweet basil has large, medium-dark green leaves that have a sweeter, less clove-like flavor than other varieties. 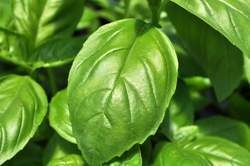 The leaves can grow up to 4” long and plants can yield an abundance of purely perfected pesto! Italian Large Leaf bolts a week later than most basils. Plants require moist, well-drained soil.